Quartzite Floor and Wall tiles at wholesale prices direct from the importer with a starting price of only £14.99 per m2 fully inclusive of vat. Additional m2 available, if you have any questions please call us on 01273 89 11 44 or email us to discuss your requirments.These first quality tiles are perfect for many applications including showers, backsplashes, floors, walls, wet rooms , pools and pool decks and landscape design. 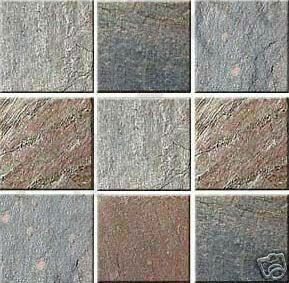 Quartzite tiles are tough, dense and incredibly durable building and landscaping material that has an unmistakable decorative quality and beauty. 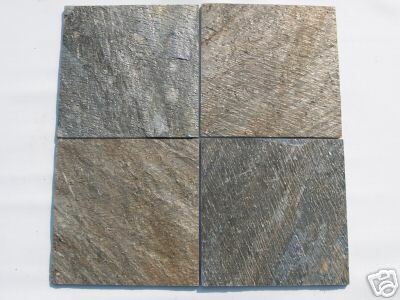 Test results indicate our quartzite to have high flexural strength, high density and extremely low rates of water absorption; it is also extremely resistant to salt attack. .
Quartzite is one of the densest natural stones in the world with low porosity which provides a natural resistance to stains. Unless the quartzite is used in cooking or eating areas it should not require sealing providing spillages are wiped up and not left to soak into the stone. Quartzite is as it comes from the earth - completely natural. Other than cutting the sides and grinding the base of each tile and paver, there is no manufacturing process. The stone is untreated with any form of chemical. Our quartzite is so hard that it wears out diamond tipped cutting wheels quickly. It is one of the hardest stones which is a blessing because it can handle high traffic areas easily. It does not need sealers though sometimes they are applied (e.g. food areas) just to make cleaning a little easier. We have over 1,000 m2 of quartzite tiles in stock available for collection from our warehouse in Sussex or we can deliver anywhere within the UK or Europe. Click here to view our location or you can contact us on 01273 891144 to discuss your requirments.